The right sized sign can be a massive boost for any retail store, restaurant, clinic, café, mini-mall, and pretty much any place where you want people coming in! 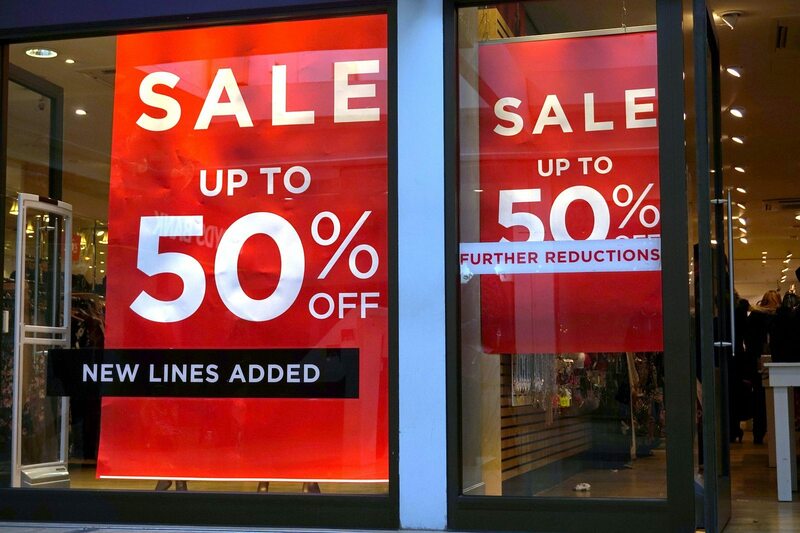 It’s amazing, but true; stellar retail signage can be the difference between a store that is never without visitors and one that is struggling to get any footfall. But if you treat people like White Goodman did in the movie Dodgeball, that could come back and haunt you. So do not do anything terrible like he does! Do not hit people in the face with the ball when they are not in play! That is pitiful behavior. Even the most prolific and impressive signboard, which we sell, cannot make up for that. The signboard market has so many options on the shelf that it’s easy to be bamboozled. The right approach is to focus on the basics: The goal of the communication, your budget, and choice of signboard material, form, color, and size. Of all these factors, size can be a tricky aspect. Conventional wisdom would suggest that larger the signboard, more eyeballs it will attract. However, you need to strike the balance between budget and signboard size. We’re here to help you find the perfect sized signage for your stores. The size of your retail store’s outdoor signage has one core goal – to get visitors inside! To achieve this, it has to be adequately visible to the target audiences. To get the sizing right, understand the distance from which the visitors will look at the sign board. Of course, the farther the target viewer from the board, larger will its size need to be. For a fast food chain’s drive-by next to the highway, the signboard will need to be positioned significantly high, and the size will need to be pretty large. Perhaps not as big as James McGill’s sign in Better Call Saul! This is to ensure that approaching vehicles can spot it from far enough, and put the brakes on in time to steer towards the store. On the contrary, for a pizzeria on a city’s main shopping street, you’ll need more moderately sized signs, with more focus on colors and form. Keep the signboard proportionate to the environment of the shop, so that those waking by can spot the contents of the board in one glance. When you’re dealing with retail signage inside the store, the best approach is to buy a good mix of different sizes. To enhance the attraction quotient and readability of the signboards inside the store, store managers and the signboard designer depend on the power of contrast. Whether it’s about using contrasting colors for the board background and the text on foreground, or contrast created by different sizes of the signboards, this technique works very well. You can send different marketing messages by leveraging signboards of different sizes. The importance of the message also governs the size you choose. Store policy, for instance, is best inscribed on large boards, where directional cues can be given via small sign boards. Often times, it’s best to choose the size of the sign board based on the purpose you want to put it to. An outside signage option meant to promote your special events, special menus, season discounts, promotional sales, etc. will need to be large enough to capture a fairly details message that gives onlookers the reason to step inside the store. Inside the store, you’d ideally want your sign boards to not be obstructive for the shopper. Large boards inside the store can hide product displays, so you’d do well to press the button for small and mid-sized signage to give directional cues, promote special products, and communicate pricing offers. The right sized sign boards not only gather eyeballs, but are also able to deliver the crux of the message in an instant. Invest thought into signboard sizes, and optimize your budget on physical signage for maximum returns.